1 Who is Amy Bruni? Amy Bruni was born on 10 July 1976, in Sacramento, California USA, and is a reality television personality, best known for being a part of the Syfy television show “Ghost Hunters” in which she appeared from 2008 to 2014. She’s since appeared in other television projects such as “Paranormal Lockdown” and “Kindred Spirits”. Guess what’s on @travelchannel at 11pm!? ?? How rich is Amy Bruni? As of mid-2018, sources estimate a net worth that is at $700,000, mostly earned through a successful career in reality television. She’s also earned a significant amount of money thanks to a business focused on paranormal travel. As she continues her career, it is expected that her wealth will also continue to increase. Amy grew up very interested in the paranormal as the family lived in a haunted house, and her father’s hobby was investigating the paranormal; the duo routinely visited and investigated various haunted sites. She developed a love for the paranormal over the many years, and would go on to pursue a career in her passion. While little has been revealed about her education, it is known that she later joined a paranormal team based in Sacramento, which drew the attention of people with similar interests. In 2007, she joined the East Coast TAPS team in the show “Ghost Hunters”, featuring Jason Hawes and Grant Wilson, formerly Roto-Rooter plumbers who would investigate as a hobby before they turned it into a profession. 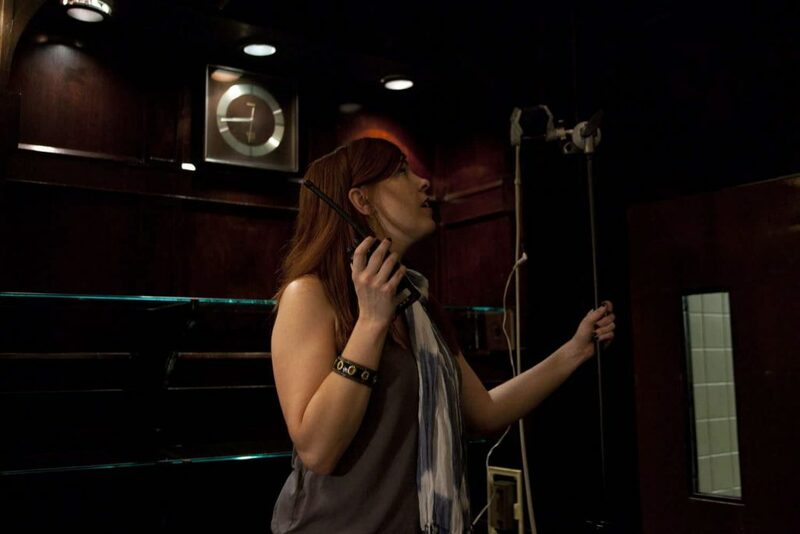 The two along with their team including Amy, would go on to investigate various places reported as haunted.In the show, the team often uses various electronic equipment which they believe could catch paranormal activity. They initially survey the property with the owners who discuss their experiences with the team, and then set up their equipment. They spend several hours recording audio, electromagnetic field, and temperature readings, with numerous video cameras on the site, and most of the time the group try to coax ghosts into responding. Afterwards, the team will spend a few days analyzing their data, before talking to the owners about their findings. The team believes that not everything they encounter is paranormal, and may be caused by reasonable explanations such as cold spots and vermin in the walls. Many of their investigations turn up cold, with very little evidence of paranormal activity, however, they do claim that they have several decent recordings of shadowy figures, mysterious lights, and moving objects. The show proved successful, attracting the highest ratings of any Syfy programming though it has also attracted criticisms from numerous sources. Many critics believe that their method of investigating is illogical, and they use emotions as paranormal evidence instead of rationally trying to go through each experience or possible evidence. “Ghost Hunters” ran for 11 seasons, with Bruni staying for seven as she wanted to focus more on family and other endeavors. She eventually started her own paranormal travel company called Strange Escapes, which mixes her passions for travel and mystery, leading guests to various infamous haunted places. In 2016 she returned to television, first as a guest in the first episode of the reality television series “Paranormal Lockdown”, which follows Nick Groff and Katrina Weidman as they confine themselves for 72 hours in some of the most haunted locations in America. They also feature guest investigators. She would then move on to other projects, and helped to create “Kindred Spirits” a new show on TLC featuring her and Adam Berry as they investigate homes of people claiming their places are haunted, and help them to reclaim their property. For her personal life, it is known that Amy has been in a longtime relationship with boyfriend Jimmy, and they have a daughter together who was born in 2012. Even while busy with her television career, it is known that she is very active in the paranormal community and looks to find new haunts for her travel business. She is often joined by popular celebrity guests in her “Strange Escapes” business. During her free time, it is noted that she enjoys scouring antique stores in hopes of getting spiritualist memorabilia. She also loves drinking wine and hitting the beach – she mentions that she is very busy but will never say no to a good wine or a good ghost hunt. She owns a basset hound named Zoe which is considered one of the more expensive dog breeds to take care of. Amy also does her best to promote her work through social media.